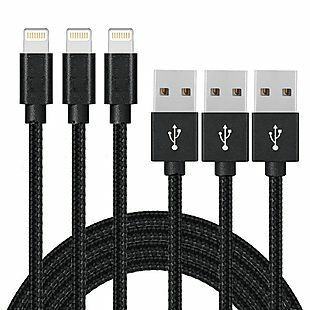 This 3-Pack of Braided Lightning Cables, originally $89.99, is on sale for $11.99 at Jinx Tech. Shipping is free. We couldn't find this deal anywhere else, but similar packs usually start at $15. Sales tax is charged in most states. 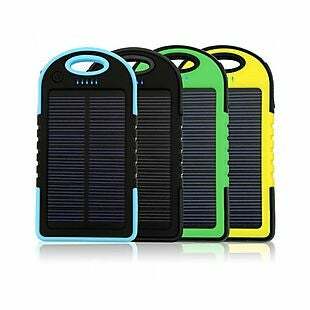 This Waterproof Solar Charger, originally $59.99, is on sale for $7.99 at Jinx Tech. Shipping is free. This is the best price we found by $2. This is available in multiple colors and has a built-in flashlight. Sales tax is charged in most states. 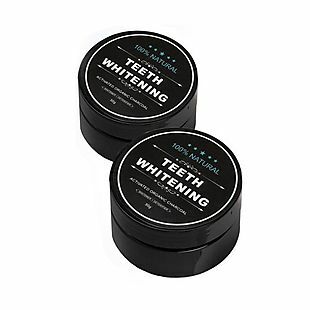 This Charcoal Teeth-Whitening Powder, originally $29.99-$129.99, is on sale for $6.99-$16.99 at Jinx Tech. Shipping is free. We couldn't find this deal anywhere else, but similar single packs usually start at $14 from reputable sellers. Choose between a 1-, 2-, or 4-pack of this 100% natural whitening powder. Sales tax is charged in most states. 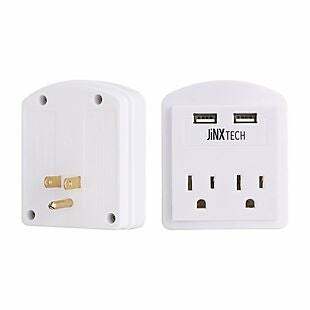 This Double Wall Outlet with USB, originally $49.99-$99.99, is on sale for $7.99-$12.99 at Jinx Tech. Shipping is free. We couldn't find this deal anywhere else, but similar ones start at $11. This comes as a single- or double-pack and is available in multiple colors. Sales tax is charged in most states.